Each moth House Mouse Designs releases a new totally adorable rubber stamp, I absolutely adore these stamps, they have so much detail and they are really fun to color! March’s stamp , available on the 15th, is called “Color me better” and would be perfect for any get well card. 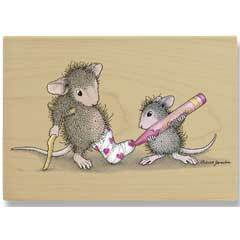 Click here to visit the House Mouse website and see this and the previous months mice.